Interviews, news and articles related to ART! Seabastion Toast has just won the Peoples Choice Award for one of her paintings at the Queensland Regional Art Awards – an exhibition which will tour Queensland over the course of 2014. 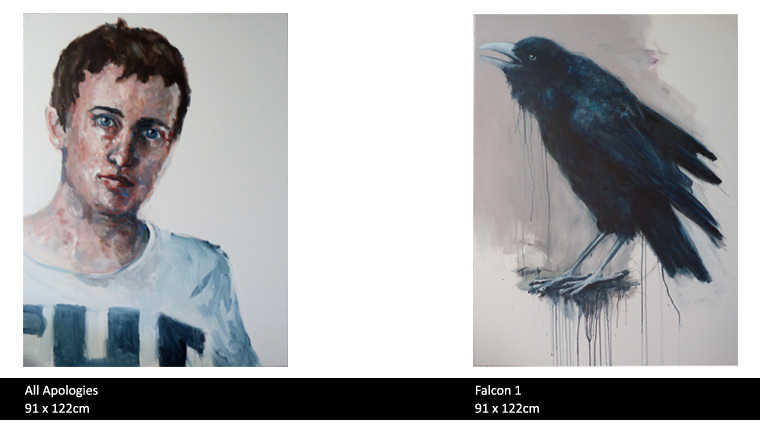 Seabastion’s paintings are primarily concerned with the human condition, making use of animal archetypes to reflect upon our relationship to the psychological landscapes we inhabit. AC: Describe your art in a sentence. 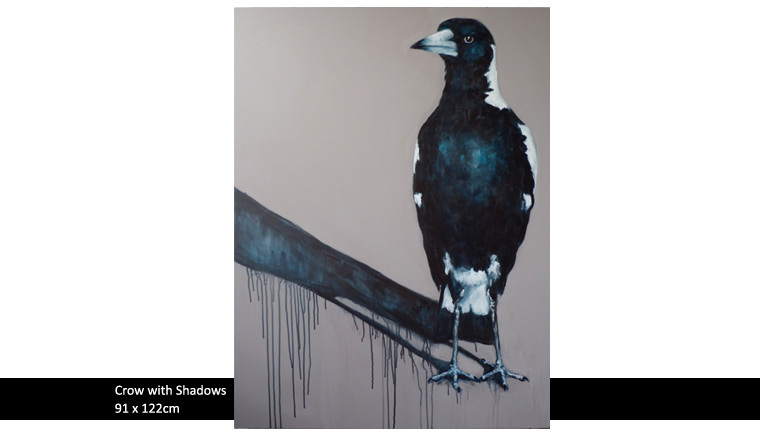 ST: My paintings are primarily concerned with the human condition, I make use of animal archetypes to reflect upon our relationship to the psychological landscapes we inhabit. AC: Who or what inspired you to become an artist? ST: I was fortunate enough to have received the academic schooling to be able to pursue almost any kind of career. I chose to study art because it was the most challenging and, in a sense, all encompassing. Art allows me to maintain a wide range of interests and for me happiness comes from total immersion, whether it be art, science, philosophy or sport. AC: What is your favourite medium to paint in and why? ST: Acrylics. I like to work fast and in layers so the quick drying time and clean up suits my personality. AC: What music do you listen to while painting? AC: Tell our readers something about yourself that may surprise them? ST: At age 15 I helped build a toilet up the Everest Trail in Nepal with Peter Hillary (son of Sir Edmund). I spent my 20’s cycling up and down the east coast of Australia on my own with just a tent, Walkman and the landscape for company. I have covered Melbourne to Cairns , England cycling to Spain, and Byron to Sydney at least 8 times. I began my art career with experimental sound art and performance art and have an early spoken word piece immortalised in the vaults of Australian Screen and Sound. I changed my name to Seabastion Toast legally in 1999… possibly as a result of being at art school and being enamoured by both postmodernism and beat poetry. Oh and yes, despite my name, I am female. AC: What are your favourite colours on the palette? ST: Burnt umber and ultramarine are my staples. I would never use black. I also like a splash of turquoise to add a challenge. For flesh tones I like cadmium light red yellow ochre and white. AC: What is your favourite quote or saying? ST: Painting for me is not so much about representing a subject or idea, but rather it is a method of learning to see. AC: What do you like doing when you’re not painting? ST: Surfing , long distance running, kayaking and travel. AC: If you could work with any other artist from any era who would it be and why? ST: Giorgio Morandi because of his prolific (near obsessive) dedication and idea that you can concentrate on just one subject (and limited palette) for your entire life and yet still explore the macrocosm of the universe through such a process and minimalist forms. 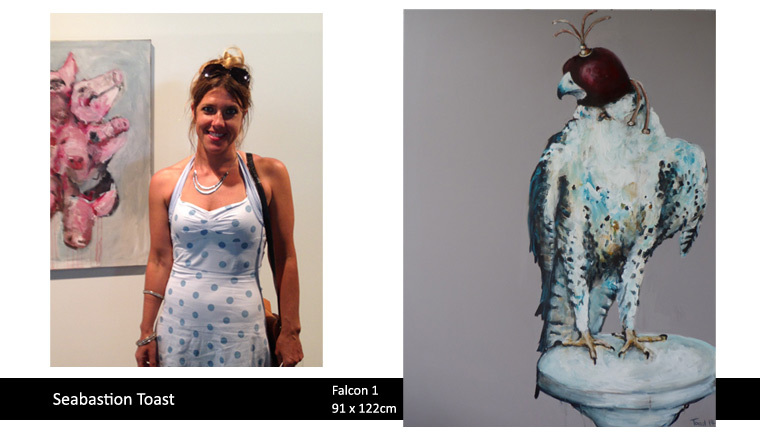 Seabastion Toast will be showing with three other talented female artists in a group exhibition “Women of Substance” at Red Hill Gallery, Brisbane from February 14 until Sunday March 3, 2014. This entry was posted in Animals, Art, Australian Art, Australian Artist, Brisbane, Contemporary, Exhibition, Painting, Q&A, Red Hill Art Gallery and tagged animals, Art, Art Gallery, Artist, artist interview, Australian Art, Australian Artist, Australian fauna, Birds, blog, blogging, Brisbane, Brisbane Art, crows, Exhibition, falcons, interview, magpies, painter, Painting, Q&A, Red Hill Gallery, RHG. Bookmark the permalink.